Most colleges don’t require applicants to submit SAT Subject Tests, which is why these are among the least commonly taken of all of the standardized tests administered to college-bound students. But the very fact that these tests are uncommon is one reason why you should consider taking them. First, let’s figure out if you HAVE to take them. This chart shows various colleges’ policies towards SAT Subject Tests. This chart is not comprehensive, so you should still double check with your potential colleges before making a final decision! Let’s take a moment to talk about these policies. As you can see, various colleges have vastly differing policies regarding Subject Tests. Some require them, some recommend them, some use them only for placement purposes, and others let you submit ACT scores instead of taking Subject Tests. It goes without saying that if you plan to apply to a school that requires Subject Tests, you have to take them. Do your research so that you know whether the school requires a specific test or if you get to choose which tests to take. If a school you hope to apply to recommends or encourages Subject Tests, you should treat that as a requirement. If the school is telling you that they would like you to take those tests, your best bet is to submit Subject Test scores. But here’s the fun part: Even if the colleges you want to apply to don’t require, recommend, or encourage Subject Tests, it might be a good idea to take them anyway. Why Take Subject Tests Anyway? SAT Subject Tests offer a great chance to showcase your strengths in specific subject areas. Your grades are more important, but grades can be subjective and differ greatly from one school to the next. 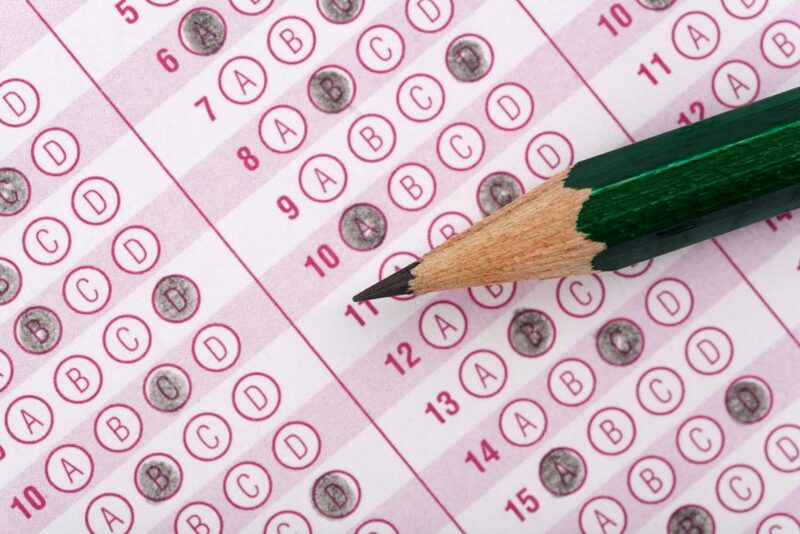 These tests allow colleges to make apples to apples comparisons between students. So if Chemistry is your thing and you want to show that knowledge off, take the Chemistry Subject Test (or Spanish, or World History, or whatever your particular thing is). Stand out of the crowd. Selective schools are overwhelmed with applicants who have great grades and test scores, so for students applying to these schools, it’s all about making yourself stand out. Since these tests aren’t as common as AP exams or the ACT, submitting a few great Subject Test scores could help add dimension and interest to your application. IB students should definitely consider these tests. The IB program is among the most challenging academic programs available, but it isn’t as widely known or understood as the AP program. Since a lot of colleges aren’t quite sure how to compare IB students to other students, supplementing your IB scores with SAT Subject Tests is a good idea. This helps colleges make apples to apples comparisons between IB students and AP students. Colleges have trouble comparing homeschooled students to other applicants because their transcripts tend to be so different. By submitting some SAT Subject Test scores, you can help the college by providing a standardized measurement of your skills in certain subject areas. Got a C? Help make up for it with Subject Tests. Did you get a C in freshman bio? Or maybe you didn’t do so hot in precalc. Whatever the case, a strong SAT Subject Test score can help to offset a less than perfect grade. A stellar score won’t totally erase that bad grade, but it will show colleges that you managed to bone up on your weakest subject area in order to get a good test score. Why Take Subject Tests in June? You spent weeks – if not months – prepping for those AP exams. Now that the stress of AP weeks is over, why not turn all that newfound knowledge into some good Subject Test scores? Subject Tests aren’t exactly like AP exams, but these tests typically have a lot of overlap in any given subject area. So if you prepped properly for your AP exams, you’ve already done the legwork for Subject Tests. The material is fresh in your mind. Summer is upon us. You’ve got plenty to do this summer – from internships and summer programs to prepping for the ACT or SAT to babysitting your annoying little brother. You don’t want to be studying for SAT Subject Tests, too. Get it out of the way now, at the beginning of the summer, so that you can use your summer more productively (and, hey, maybe have some fun, too). Harvard University has made a change regarding SAT Subject Tests. SAT Subject Tests will be “normally required” rather than “required”. The school is concerned that requiring two Subject Tests creates an unnecessary impediment for many potential applicants, including minority students, students without access to guidance counselors, and students from abroad. “Normally required” is a new term in SAT Subject Test policies. Here’s what it means: If the cost of taking the tests represents a financial hardship or if you prefer to have your application considered without Subject Test scores, you don’t have to submit them. But if you REALLY want to go to Harvard and you can afford to take the tests, you probably should anyway.